Many manufacturers have begun including warning statements on many of their products and advertising. It is unclear if manufacturers will continue to do this until the matter is completely settled or if those warning statements will be removed from future packaging and advertising. 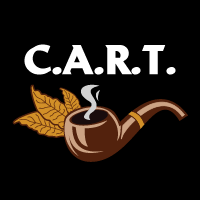 The FDA's guidance states that, "Cigar and pipe tobacco firms, however, may add the warnings and make these labeling changes while the injunction remains in effect. The compliance policy in this guidance supersedes the compliance dates included in any other guidance issued prior to this guidance." Warning statements on tobacco products has been a hot topic in 2018. As part of the FDA's deeming rules, there was a compliance deadline of August 10, 2018 that would have required one of six pre-approved warning statements be included on cigar packaging and advertisements and a nicotine warning for pipe tobacco products. The ongoing lawsuit waged between cigar industry and FDA, however, challenged the warning statement requirement, calling it unconstitutional since it allegedy infringes on a compay's First Amendment-granted commercial free speech and that the requirement was burdensome. Companies had to submit a plan and get approval from the FDA before running the warning statements on products. You can read the full updated guidance document from the FDA by clicking here.